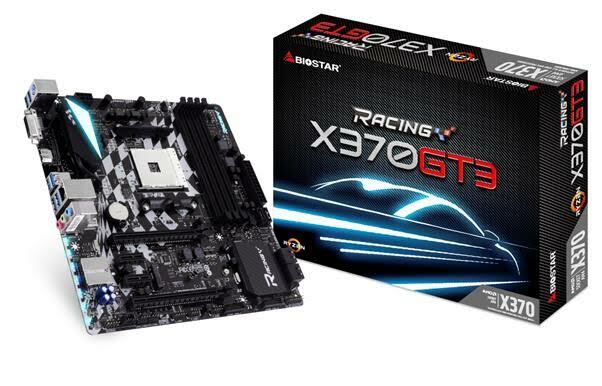 BIOSTAR is thrilled to welcome its latest entry in the 2nd-Generation family of RACING Series motherboard with the RACING X370GT5 motherboard. Featuring support for the latest AMD RYZEN processors, users can enjoy the best of the new AMD platform together with the best of the BIOSTAR RACING series. The RACING X370GT5 features superior gaming network optimization with FLY.NET and DRAGON LAN for an optimal online gaming experience. Light up your AMD RYZEN gaming system with the BIOSTAR RACING exclusive feature, the 5050 LED Fun Zone so you can customize your system lights however you want. The X370 chipset also allows further performance enhancement on unlocked AMD RYZEN CPUs for the extra performance boost so you can get more out of your system, perfect for performance seekers and overclockers! The RACING X370GT5 comes bundled with a free BIOSTAR VIVID LED Fan and will have an MSRP of $149. The full-wave of features from the 2nd-gen BIOSTAR motherboards echo throughout the series with features VIVID LED DJ support and 5050 LED Fun Zone with dual header for full customization freedom. The new BIOSTAR RACING Series motherboards feature excellent DIY tools for ease-of-use and maintenance including DUAL BIOS protection for deep-level of system protection while the onboard GT Touch interface allows easy controls when working with the motherboard. The DUAL BIOS allows users to manually select between two BIOS, keeping each BIOS chip independent from each other to protect the system in the occurrence of a BIOS corruption. Easily flash back a working version or maintain two different versions for flexibility. The GT Touch interface lets users work with their motherboard easier with onboard power on and reset buttons while also allowing control over easy-access profiles so your system runs how you want it, when you need it best... all at the touch of your fingertips! Rear I/O connectivity include a legacy PS/2 port, four USB3.1 Gen1 ports, a USB3.1 Gen2 Type-A port and USB3.1 Gen2 Type-C port for modern devices. Multimedia connectivity include DVI and HDMI output, an Ethernet port and six audio ports. 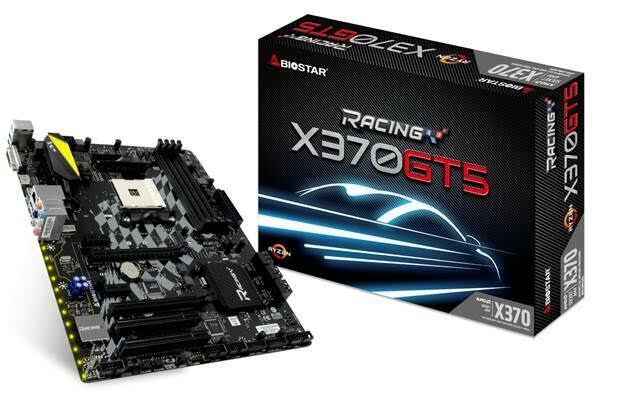 BIOSTAR will also be the first brand to release compact form factor RACING Series X370 motherboards for the AMD RYZEN processors including the RACING X370GT3 featuring the microATX form factor and for those looking for a super-compact setup, the exciting new RACING X370GTN in the mini-ITX form factor will also be available.